Research has shown that gardening addresses many symptoms of mental ill-health and the broader associated difficulties. Benefits come from physical activity, practical skills development, inter-relational and personal integration, and the innate effects of being in contact with nature. Gardening promotes a faster recovery from mental fatigue , improves sleep , improves concentration and memory , decreases anger  and stress levels , increases the ability to cope with stress , increases positive mood , decreases the reliance on anti-depressants  and the severity of depression and anxiety , and refocuses away from pain . Working as a gardening community extends the gardeners’ social network  which increases the capacity to recover from disease , improves a sense of personal control in social settings , increases motivation , de-stigmatises by providing a new aspect to self-identity , increases a sense of belonging  and correlates to an increased positive relationships with others . 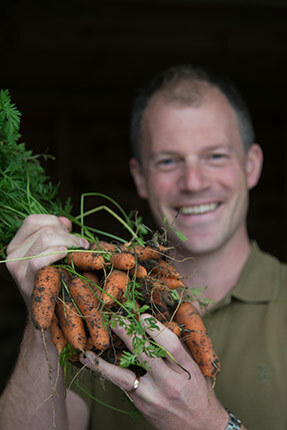 Growing plants and produce provides enjoyment for the tangible benefits of gardening , creates a sense of accomplishment and improves self-esteem , increases self-confidence , improves personal productivity , widens learning of a range of transferable life skills and correspondingly increases gardeners’ employability . Caring for plants encourages creativity and self-expression , taking responsibility for oneself , reinforces a sense of personal agency , and powerfully reverses the dependency role sustained during illness . Gardening offers many metaphors that can assist processing painful thoughts with positive framing , bring about hope from nature’s life cycles  and a sense of transition and change , create coherence in personal life-stories  and promote goal-oriented behaviour where needed . Being in contact with nature grounds the gardener to be able to take manageable risks for change . Kaplan, R. and S. Kaplan. 1989. The experience of nature: a psychological perspective. Cambridge University Press: New York. Pernell, W.D.1998. Perceptions of sleep and daily functioning following exercise. Dissertation Abstracts International: Section B: The Sciences and Engineering, May. Berto, R. 2005. Exposure to restorative environments helps restore attentional capacity. Journal of Environmental Psychology Vol. 25, No. 3, pp. 249-259. Peacock, J., Hine, R., & Pretty, J. (2007). The mental health benefits of green exercise activities and green care. Report for MIND. Zeller, J. E. 2006. An exploration of the psychologically restorative qualities of the natural world. Doctoral dissertation. Massachusetts School of Professional Psychology. Ulrich, R.S., Simons, R.F., Losito, B.D., Fiorito, E., Miles, M.A. and Zelson, M.1991. Stress recovery during exposure to natural and urban environments. Journal of Environmental Psychology Vol. 11, pp. 231–248. Ulrich, R.S., Dimberg, U. and Driver, B.L. 1991. Psychophysiological indicators of leisure benefits. In Driver, B.L., Brown, L.R., and Peterson, G.L. (eds.) Benefits of leisure. State College, P.A. : Venture, pp. 73–89. Barley, E.A., Robinson, S. and Sikorski, J. 2012 Primary-care based participatory rehabilitation: users’ views of a horticultural and arts project. British Journal of General Practice Vol. 62, No. 595, pp. e127. Burchbach, F.R. 1997. The efficacy of physical interventions within mental health services: anxiety and depressive disorders. Journal of Mental Health Vol. 6, No. 6, pp. 543-554. Grinde, B. and Grindal Patil, G. 2009. Biophilia: Does visual contact with nature impact on health and well-being? International Journal of Environmental Research into Public Health Vol. 6, pp. 2332-2343. Kam, M.C.Y. and Siu, A.M.H. 2010. Evaluation of a horticultural activity programme for persons with psychiatric illness. Hong Kong Journal of Occupational Therapy Vol. 20, No. 2, pp. 80–86. Reynolds, V. (1999). The Green Gym: Evaluation of a Pilot Project in Sonning Common, Oxfordshire. Oxford Centre for Health Care Research & Development. Fieldhouse, J. 2003. The impact of an allotment group on mental health clients’ health, wellbeing and social networking. British Journal of Occupational Therapy Vol. 66, No. 7, pp. 286-296. Perrins-Margalis, N.M., Rugletic, J., Schepis, L.N.M., Stepanski, H.R. and Walsh, M.A. 2000. The immediate effects of a group-based horticulture experience on the quality of life of persons with chronic mental illness. Occupational Therapy in Mental Health Vol.16, No. 1, pp. 15-32. Barley, E.A., Robinson, S. and Sikorski, J. 2012 Primary-care based participatory rehabilitation: users’ views of a horticultural and arts project . British Journal of General Practice Vol. 62, No. 595, pp. e127. Kidd, J.L. and Brascamp, W. 2004. Benefits of gardening and the well-being of New-Zealand gardeners. In Relf, D., Kwack, B.H. and Hicklenton, P. (eds.) Expanding roles for horticulture in improving human well-being and life quality. Acta Horticultura Vol. 639, pp.103-112. Kaplan, R. 1973. Some psychological benefits of gardening. Environment and Behavior Vol. 5, No. 2, pp. 145-162. Wallzceik, T.M., Mattson, R.H. and Zajicek, J.M. 1996. Benefits of community gardening on quality-of-life issues. Journal of Environmental Horticulture Vol. 14, No, 4, pp. 204-209. Kam, M.C.Y. and Siu, A.M.H. 2010. Evaluation of a horticultural activity programme for persons with psychiatric illness. Hong Kong Journal of Occupational Therapy Vol. 20, No. 2, pp.80–86. Taylor, A.F., Kuo, F.E. and Sullivan W.C. 2001. Coping with ADD: The surprising connection to green play settings. Environment and Behavior Vol. 33, pp. 54–77. Jackson, L. 2000. Work to live, Guardian Society. 8 November, pp.10-11. Spelfogel, B. and Modrzakowski, M. 1980. Curative factors in horticultural therapy in a hospital setting. Psychiatric Services Vol. 31, No. 8, pp. 572-573. Myers, M.S. 1998. Empowerment and community-building through a gardening project. Psychiatric Rehabilitation Journal Vol. 22, No.2, pp. 181-83. Adevi, A. A. and Lieberg, M. 2012. Stress rehabilitation through garden therapy: a caregiver perspective on factors considered most essential to the recovery process. Urban Forestry and Urban Greening Vol. 11, No. 1, pp. 51-58. Page, M. 2008. Gardening as a therapeutic intervention in mental health. Nursing Times Vol. 104, No. 45, pp. 28-30. Harris, M. 1996. The healing garden. Harper Collins Publishers: Toronto. Ottosson, J. and Grahn, P. 2008. The role of natural settings in crisis rehabilitation: how does the level of crisis influence the response to experiences of nature with regard to measures of rehabilitation? Landscape Research Vol. 33, no. 1, pp. 51–70. Clouston, T. 2003. Narrative methods: talk, listening and representation. British Journal of Occupational Therapy Vol. 66, No. 4, pp. 136-42. Hewson, M.L. 2006. Horticultural therapy and post-traumatic stress recovery. Growth Point Vol. 107, pp. 14-16.